There are times when satire is not satire, its propaganda. For those involved in criminal justice issues and 21st century slavery abolition, one point of contention is that prisons have a sizable population of elderly prisoners who do not present a threat to society are good candidates for release. The reality is that elderly prisoners are kept in prison to fill beds and feed the prison industrial complex aka 21st Century Slavery & Human Trafficking. Private prisons are paid per prisoner regardless of age and elderly prisoners can and do work behind bars. 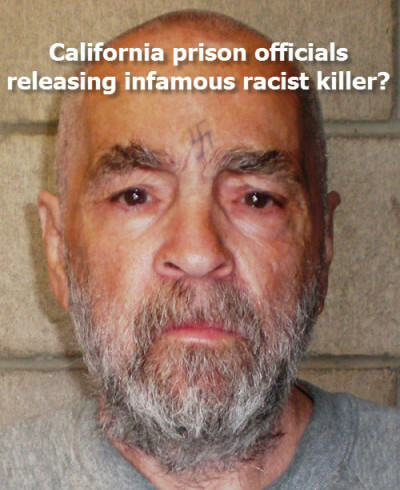 Recently a satirical article published on the satirical website Empire News and related content went viral on social media about the release of racist would be mass murderer Charles Mansion. Of course, the article is fake but it has the political effect of scaring the public to be against easing prison overcrowding, even if it only applied to the vast majority of prisoners who have been convicted of a non-violent victimless so-called crime and sentenced to 21st century slavery. The satirical propaganda piece contains a phony quote from a non-existence official. ““According to California Board of Parole Hearings Commissioner John Peck, prison overcrowding forced the prison board to re-evaluate prisoners that are elderly or those with serious illnesses. It would not be surprising if the writers of political propaganda pieces were found to be accepting payments from special interest groups. Many bloggers are paid to circulate propaganda in the form of articles, blogs and social media posts. Satire websites are very popular and as stated earlier, these satire articles, blogs and social media posts often go viral spreading disinformation and shaping public opinions on serious society issues. I guess those on the other side of political and social issues targeted by satirical propaganda producers, must ask them selves if they should fight fire with fire and incorporate satire in their media strategies.